Cadillac is one of the oldest automotive brands, with its roots dating back to 1902. It’s also one of the most respected and acclaimed, having developed vehicles like the Eldorado, Deville, Escalade and, most recently, the XTS. Now in its 115th year of development, the brand is still going strong—and still making headlines for a number of reasons. Here’s your round-up of some of the latest news and notes on the Cadillac brand. One of the big factors that has helped Cadillac thrive over more than a century is that it has never become complacent – the brand has evolved over time and as consumer preferences change. Moving forward, Cadillac is expected to offer more variety to consumers. According to Automobile magazine, the brand is expected to release eight new models by 2022—four crossover vehicles and four luxury sedans. Its first new crossover is expected in 2018, and one per year will follow up to the 2020 model year. The first new sedan is slated for a 2018 model year release, with other models to follow in 2019 and two in 2021. These new vehicles are expected to provide more competition to other luxury brands like Mercedes and BMW. One of those crossovers mentioned above is the XT4, slated for release in 2019. 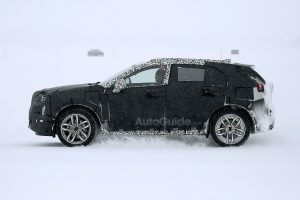 AutoGuide.com says the vehicle was recently spotted while being tested in Finland. Not a lot is currently known about the XT4, but many in the industry hypothesize that it’s meant to directly compete with similar BMW, Audi and Mercedes models. Stay tuned for more information on the XT4 as it becomes available. One recent innovative initiative pioneered by Cadillac is its Book by Cadillac program, a premium membership-like program that charges New York City drivers $1,500 a month for the chance to “subscribe” to 10 different Cadillac vehicles and switch up to 18 times a year. 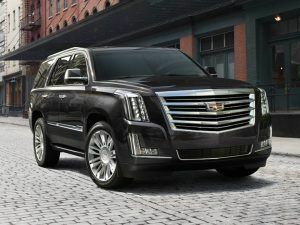 Think of it like this: If you have the XTS and want something a little bigger, just switch to the Escalade. 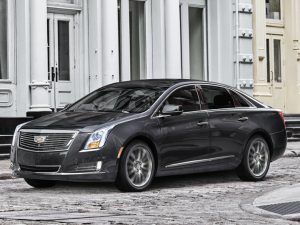 The program debuted in February; the Washington Post reports that as many as 5,000 Cadillac drivers have already signed on. Again, it’s currently only available in New York City, but if the idea catches on, there’s the potential for the program to expand globally. 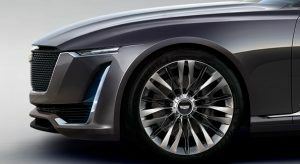 The future of luxury could be the Cadillac Escala, a concept car that debuted at the Geneva Motor Show. It offers a futuristic, sleek design, large wheelbase and long body. It’s a daring look that certainly turns heads. However, even though it’s big on looks, Auto World News is also reporting that it’s likely to be big on power as well. The publication states that a new 4.2 liter, V8 is likely to go under the hood, giving the Escala plenty of giddy up. Stay tuned, as the future will tell if this concept moves closer to reality. 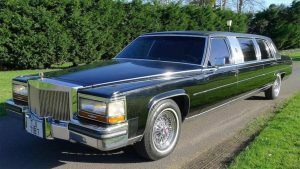 Would you pay up to $15,000 U.S. for a 1988 Cadillac limo? What if we told you that it was previously owned by U.S. President Donald Trump? Ever since Trump took the Oval Office, many of his former vehicles have hit the auction block, and the latest is expected to be the aforementioned limousine. Specifically, it’s a Golden Series limo with a 5-liter, V8 engine under the hood. We should say that it’s not currently owned by Trump; it was simply owned by him at one time. That’s probably why it’s going up for auction soon, to be honest—so the current owner, mechanic Craig Eyres, can strike while the iron is hot. According to The Drive, the limo includes a VCR, fax machine and safe, and features a Rosewood paneling interior with leather seats. Fittingly, the “Trump” logo is stitched into the seats. The limo is thought to have been presented to the real estate mogul and reality TV star at a Limousine and Chauffeur Show that he attended in Atlantic City in 1988. Finally—and most close to home—Budds’ Cadillac is happy to announce a new service that Cadillac shoppers will find as innovative as it is convenient: Cadillac Concierge. Billed as the “Budds’ Cadillac Evaluation Experience,” Cadillac Concierge brings the test-drive to you. Simply fill out a short form and identify your Cadillac of choice, and have Budds’ staff drop one off for a test-drive at your convenience. Saturday morning? No problem. Thursday after dinner? Of course. Monday lunch for a test-drive at the office? Budds’ would be happy to. It’s never been easier to turn neighbours’ heads as you back your new Cadillac out of the driveway, hear the purr of the engine as you head out, then relax in the rich luxurious leather as the wheels hug the road—in short, experience everything that has made Cadillac famous.